I’ve been called a “mutt,” with ancestors coming from many different European regions. I don’t think that’s too uncommon here in the Midwest. Most of my ancestors came from areas that were once Germany but now are located in other countries: Alsace-Lorraine, Bohemia, Silesia. On St. Patrick’s Day, I’m proud to claim the Irish strand (I’m proud the other 364 days of the year, too!). The Fitzpatricks and Kings (on my maternal side) hailed from Ireland. I don’t know much about them–I don’t know from where they came or when. Someday I’d like to track down that information. 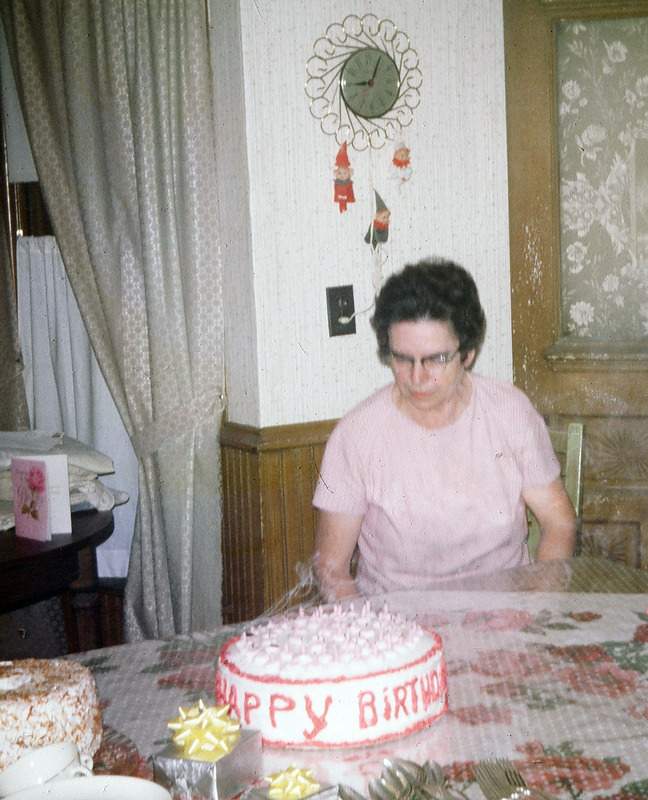 I didn’t know my grandmother, Mary “Ruth” (Fitzpatrick) Zimny, well. I was just four years old when she died at age 68 of pancreatic cancer. But I have several memories, mostly because Grandma watched me during the days while Mom and Dad worked. Grandma and Grandpa lived right next door. I’m glad that I got to know her a little bit. I devote a few pages of We’ll Be the Last Ones to Let You Down to Grandma Zimny. The Irish are known for their storytelling, so maybe that’s why Grandma was compelled to clip, clip, clip things out of newspapers and save them in scrapbooks. She saved these stories of births, weddings, and deaths, I think as a way to not forget. And here I am, writing about her. I think she’d be happy to not be forgotten.